If you have any questions regarding Juvenile Defense, please contact us for a FREE JUVENILE COURT REFERRAL CONSULTATION. If the juvenile is cited or transported to juvenile hall the matter will be screened to see if the case should be handled judicially (criminal charges filed) or nonjudicially (criminal charges not filed). If the case is handled judicially, there are four phases including petition filing, intake interview, adjudicatory hearing and disposition. In a nonjudicial handling, a petition is not filed and the parents and juvenile voluntarily agree to counseling or other community services and the juvenile might be placed on probation. • Detained in Juvenile Hall prior to court appearance. • Released or referred to community resources. • Released to parents prior to court appearance. 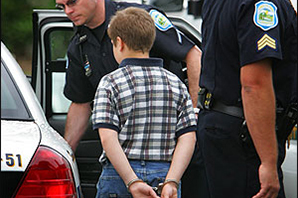 If law enforcement requests to detain the juvenile a detention hearing will occur within 72 hours. During the detention hearing, a judge determines whether continued detention is appropriate. After the detention hearing, the juvenile can either be released to the custody of their family or will remain in detention. • Fugitive from another jurisdiction. • Immediate threat of serious physical injury. • Charged with first or second-degree murder. • Charged with a serious property crime or a crime of violence. • Already detained in connection with another delinquency proceeding. • Recent record of willful failures to appear at any other court proceedings. • Recent record of violent conduct resulting in physical injury to others. • Recent record of adjudications for serious property offense. • No less restrictive alternative will reduce risk of flight, or serious harm. If the juvenile is not detained and it is not a serious crime, law enforcement will generally forward the case to the probation department. The probation department can approve diversion or even dismissal. Diversion can be either total or partial. Total diversion is possible as an alternative to juvenile court involvement through a referral to another agency or a decision to drop the charges. Partial diversion occurs after the juvenile court contacts the juvenile and some type of informal supervision or treatment is given. If you need an effective Juvenile Defense Attorney, please contact us for a FREE JUVENILE COURT REFERRAL CONSULTATION.